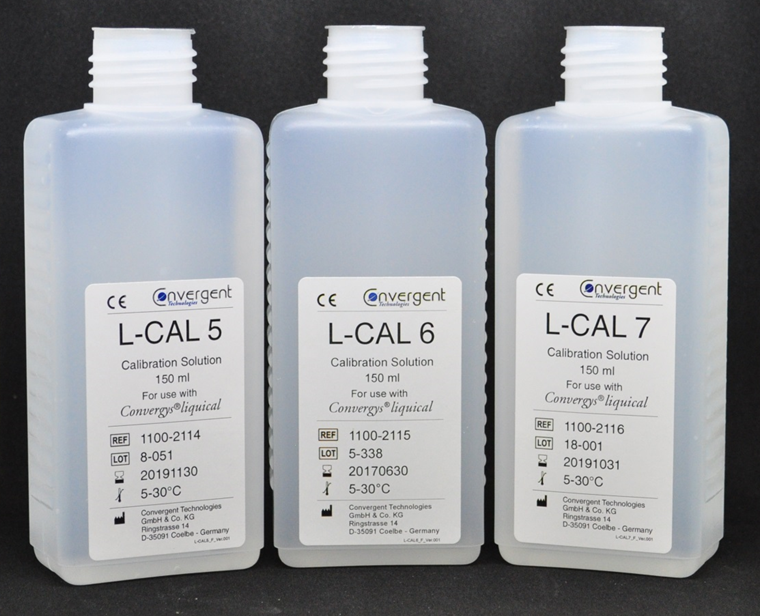 Convergys L-CAL calibrators for Convergys liquical contain stabilized standard solutions of electrolytes, gas and metabolites as required by the analyzers’ configuration. They are used for the analyzers’ automatic two-point sensor calibrations. 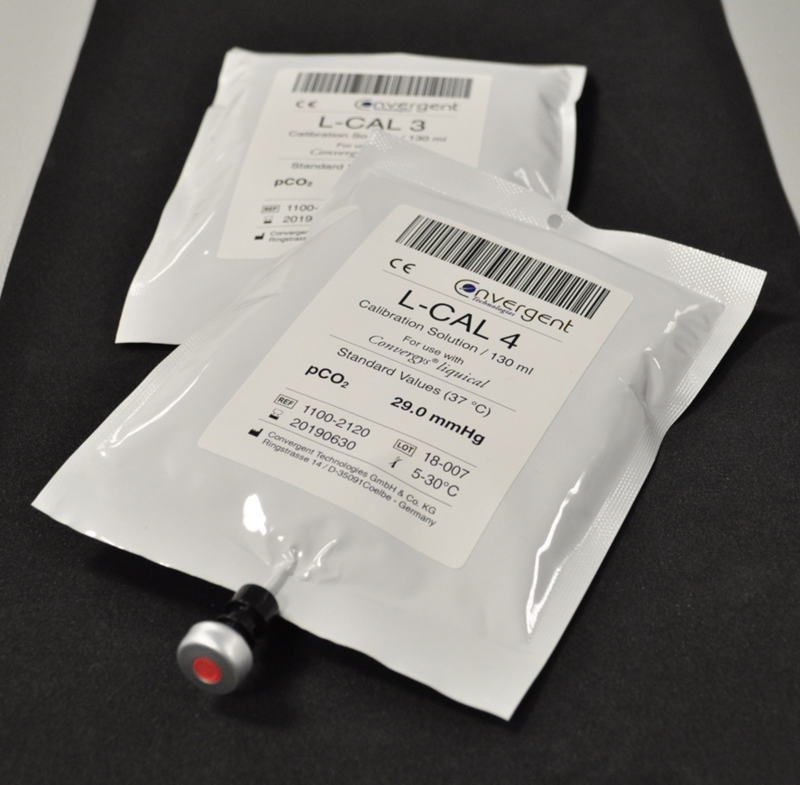 L-CAL 1 – 4 contain stabilized gas standard solutions for calibration of blood gas parameters. Convergys liquical uses solely liquid reagents for calibration. All Blood Gas calibrator reagents are packed in hermetically sealed pouches. Each pouch contains 130 ml. L-CAL 5 & 6 contain stabilized saline standards solutions for calibration of electrolyte parameters. Each bottle holds 150 ml. L-CAL 7 contains additional Glucose and Lactate for the calibration of the metabolite sensors. The bottle holds 150 ml. For more information on which calibrators are required for the different Convergys liquical configurations please refer to the product brochure. Stored at 18°C to 25°C L-CAL 1 – 4 have a shelf life of 15 months, L-CAL 5 – 7 of 18 months from the date of manufacture.